Whether you are moving in or out of New Jersey, Optimum Moving ensures a safe and efficient relocation of your belongings with utmost care. We provide commercial moving, residential moving and white glove moving services in Fieldsboro – making sure that the whole process of packing and moving is done seamlessly. Fieldsboro is a borough in Burlington County named after the Field family, who were the famous early settlers in the area. Known as an affluent community, Fieldsboro (covering an area of 0.269 square miles) forms a borderline across the scenic Delaware River and Bordentown Township. The main attraction here is the specialty museum, known as the Friends of White Hill Mansion. In Fieldsboro, an average house can cost you around $205,090 and this type of property usually features two to three bedrooms. It was estimated that Fieldsboro residents stay in this borough for a longer period of time. Around 66% of the 530 residents continued living in the same house for an average of five years. The renters (about 19% of total population) live here for an average of eight years, whereas the owners of houses and condos live here for an average of 16 years. Apart from our reasonably priced moving services, we keep ourselves updated with the latest innovations in the moving industry. Since we are quite familiar with the localities of NJ, it gives us an edge in providing cost-effective moving services. We are well equipped to handle both small and large scale moves, without comprising the safety of your precious belongings. We practice a hassle-free logistic method and you can trust our proven track record to accomplish your relocation needs. Consult us today and let us assist you in making a secure move in Fieldsboro! 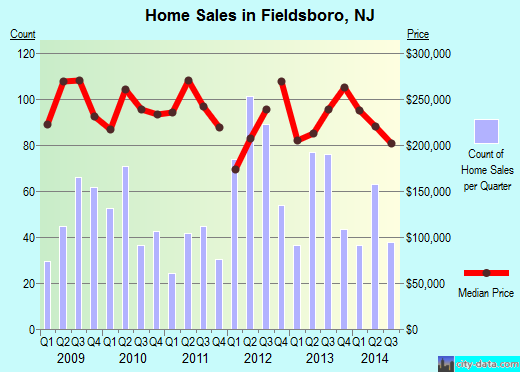 Want to learn more about a Fieldsboro Move?